At least I don't hoard my own filth, cat skeletons or food wrappers. 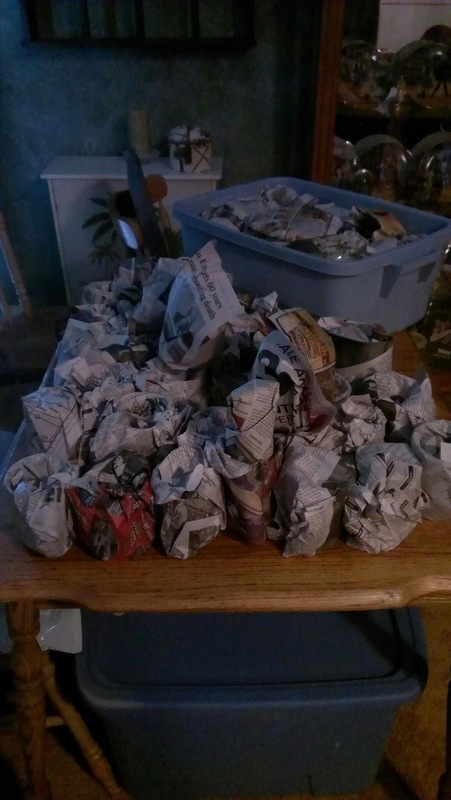 This picture here is my 70 or mugs that have been wrapped and packed. Since I didn't do any packing today, I will need to beef it up before or after Scandal tomorrow night.